Welcome to the main fundraiser for Blue Mountain Wildlife and the Kernsville Dam Recreation Area. 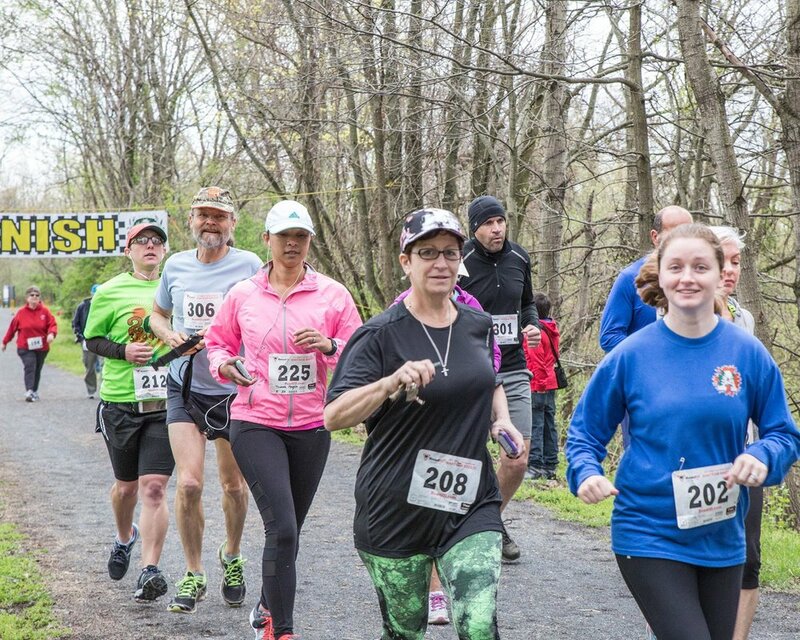 The BMW Trail Race Series consists of the "Bartram Breeze" 10K, 5K or 2K Trail Races at the Kernsville Dam Recreation Area on Saturday April 13, 2019, the "Mad Dash" 5-Mile, 5K or 2.5K Trail Races at the Hamburg Reservoir on Saturday May 18, 2019 and the "Run To The Rock" 10K, 5K or 2.5K Trail Races at the Hamburg Community Park on Saturday June 22, 2019. All BMW Trail Races Series Races have great courses; registrant goodie bags; cash prizes for the fastest male and female racers in the long races and a generous slate of awards for all races; DJ Brett providing post-race entertainment; plenty of drinks, fruit and baked goodies to replenish the body; post-race activities for the kids; free hot lunch for all participants and volunteers; door prize drawings; and plenty of Trail Race Series and BMW gear for purchase. On Race Day, all three races start at 9:00 AM in the same general location. WHO: Open to participants of all ages and abilities. Prior to the Bartram Breeze, you may pre-register for all three categories of races in the Trail Race Series (Extreme, 5K or Family), either using online pre-registration or at registration on Race Day. Pre-registration pricing for all three Extreme Races (Bartram Breeze 10K, Mad Dash 5-Mile and Run To The Rock 10K) is $61 and includes a free tech shirt. Pre-registration pricing for all three 5K Races (Bartram Breeze 5K, Mad Dash 5K and Run To The Rock 5K) is $61 and includes a free tech shirt. Pre-registration pricing for all three Family Races (Bartram Breeze 2K, Mad Dash 2.5K and Run To The Rock 2.5K) is $20 and includes a free short-sleeved cotton T-shirt. PRIZES: Prizes for the 10K Race: Individual 1st, 2nd and 3rd Place Prizes for both males and females awarded in the following age categories: 0-19, 20-29, 30-39, 40-49, 50-59 and over 60. $25 Grand Prize for the fastest Individual male and female time will be awarded. REGISTRATION: Pre-register online or download the pre-registration form. Online pre-registration open until 11 PM on the Thursday before Race Day. Pre-registration packet pick-up and Race Day registration opens at 8:00 AM and closes at 8:50 AM. MORE INFORMATION: For more information, updates, and pictures, check out Blue Mountain Wildlife's Facebook page. All proceeds benefit Blue Mountain Wildlife, a certified 501(c)3 non-profit organization and the stewards of the Kernsville Dam Recreation Area. Kindly support the sponsors of the 2019 Blue Mountain Wildlife Trail Race Series. 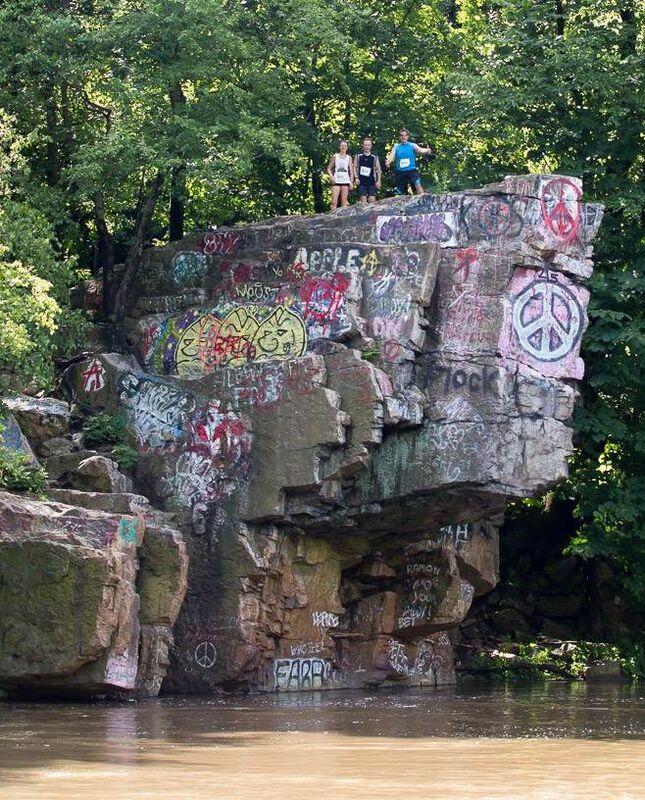 WHERE: Kernsville Dam Recreation Area in Tilden Township. Industrial Drive and Kernsville Dam Road, Hamburg, PA.
WHERE: Hamburg Reservoir, Windsor Township, Berks County. WHERE: Hamburg Community Park, Second and Island Streets, Hamburg, PA.